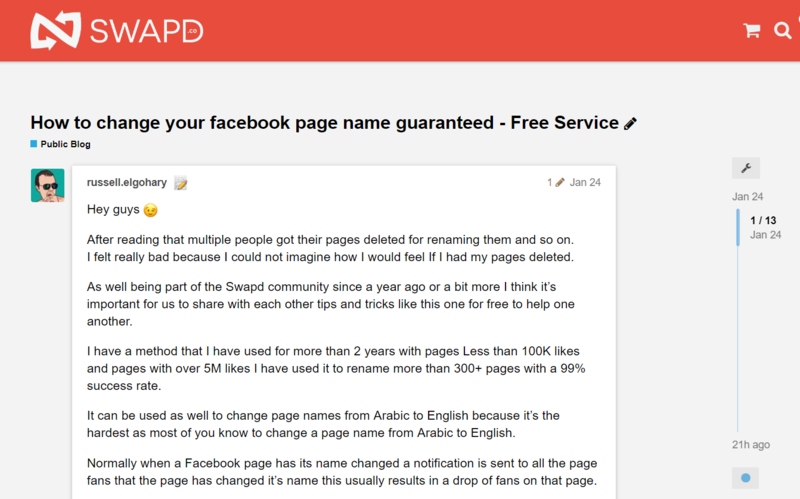 Ever wondered how to change a Facebook Fanpage name? Or was your name change request denied by Facebook? Don’t worry, you may still have options. After doing some research, we’ve found a clever trick that may allow you to bypass the Facebook restrictions and change your page name completely. First, let’s go over the proper way of changing the names of your Fanpages on Facebook. You don’t have a Page role that allows you to change your Page’s name. Learn how to see your Page role. You or another admin recently changed your Page’s name. Keep in mind that changing your Page’s name won’t affect its username. Learn more about the guidelines for Page names. Note: You can’t change the name of a regional Page if it falls under a global Page. Things may not always go as planned! I have a method that I have used for more than 2 years with pages Less than 100K likes and pages with over 5M likes I have used it to rename more than 300+ pages with a 99% success rate. It can be used as well to change page names from Arabic to English because it’s the hardest as most of you know to change a page name from Arabic to English. Normally when a Facebook page has its name changed a notification is sent to all the page fans that the page has changed it’s name this usually results in a drop of fans on that page. With my method 85% of the time the notification that says the page name has been changed does not get sent and that results in no fan drop at all. We’ve personally tested the method and found that it works. However, some SWAPD members reported that this trick might contributed to having their Fanpages banned. We don’t know whether the name changes were related to the bans, as Facebook purges are a real thing and the social giant continually bans pages left and right, for a plethora of reasons. To avoid losing your beloved Fanpage, we suggest that you start on a smaller page you don’t care about. If the trick works and the page stays up a few weeks, then you should be good to go. But please remember, before you try this trick (or any other unapproved by Facebook methods), make sure to do it the regular way, via Facebook support. You never know, your request may get approved without jumping through hoops.